New features in TimeControl 6.9 requires that you have installed Microsoft’s .Net 4.5+ framework. Previous versions of TimeControl will work find under .Net 4.0 but starting with 6.9, .Net 4.5 will be the minimum standard. Did you know that TimeControl 6.8 includes a powerful Accruals Module to allow Human Resources and Payroll departments to automatically calculate and store time in many different categories? Many organizations have scenarios where the timesheet is an ideal place to calculate overtime based on the total number of hours or the amount of vacation or personal time off that has been earned each period based on a person’s seniority or managing banked overtime. 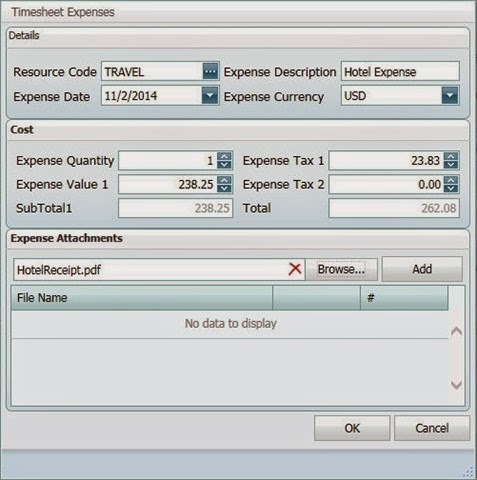 TimeControl’s new Accruals Module allows all of these types of calculations and more. In some organizations, your vacation time or personal time off is earned at a standard value. For example, let’s say you get 3 weeks of vacation and a standard week is 40 hours long. Each month you might earn 10 hours. The calculation is 40 hours times 3 weeks for 120 total hours per year of vacation and divide that 120 by 12 months and we get 10 hours per month. TimeControl can automatically do the storage of those hours into each employee’s vacation bank. Some organizations may configure TimeControl to accrue time into a bank based on the value found in the rate code. For example, it is quite common in TimeControl to identify a rate as an overtime rate with specific values for internal cost vs. external billing value. The TimeControl Accruals module can look at these lines and determine if the overtime values should be treated as time to go into a particular employee’s bank such as banked overtime over a certain value. In some organizations, there are rules for the amount of overtime that can be accumulated based on the number of hours in a timesheet. Let’s say, for example, we want to add to the employee’s overtime bank an amount calculated at 1.5 times the hours for any time spent over 40 total hours but below 50 total hours and 2 times the hours for any hours above 50. A TimeControl instance may include numerous Accrual rules. Some rules could apply to the entire staff and others might apply only to certain staff or even to certain staff under some conditions. Find out more about TimeControl Accruals at www.timecontrol.com/timesheet/accruals. Thanks to our remarkable clients 2014 was a record year of growth and productivity for us. HMS experienced growth in every category including services, TimeControl for on-premise, our subscribed TimeControlOnline service and even support services. So, a big thank you to both our dedicated staff and, of course, our expanding clientele. 2014 was our 30th year of operation and 20th year of operation for TimeControl but we feel like we’re just getting started. 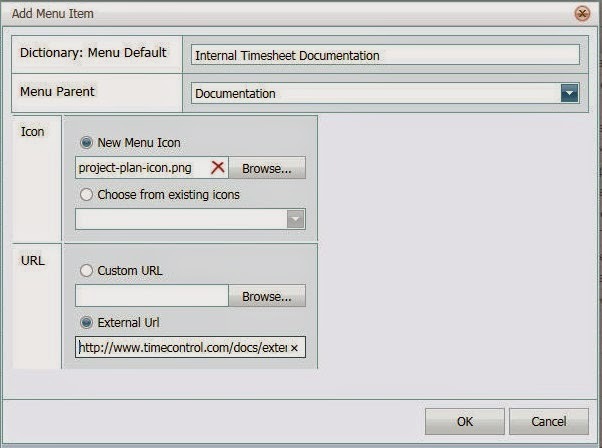 In 2014 we released TimeControl 6.7 and 6.8 including such popular and powerful features as the TimeControl Workflow engine and the new Accruals Module. We also finally said goodbye to the last of our old ActiveX controls. They continue to be supported as a legacy feature but new installations of TimeControl won’t even see them by default. 2015 promises to be even more exciting! We are already putting the final touches on TimeControl 6.9 which is scheduled for release in February and design is underway for a major new wave of TimeControl which we’ll tell you more about during the summer. We’ll be giving you a sneak peek at the new marquis feature of TimeControl 6.9 right here in the blog in the next couple of weeks! So, 30 years of HMS history are now behind us but the best is yet to come! We are delighted to get written testimonials from our TimeControl clients quite frequently here at HMS but this year one of our clients has gone a step further. The folks at Steven Winter Associates worked with the HMS marketing staff to get a case study written of their selection and use of TimeControl. We’re thrilled with the result which is now on the TimeControl website. Steven Winter Associates is a leader in their field creating best practices for high-performing buildings. It’s remarkable work. In January 2010, Steven Winter started looking for a timesheet system that would allow them to be effective in their work of making buildings more effective. TimeControl would become that system and it has been making a difference there ever since. The case study is at: www.timecontrol.com/resources/casestudies/swa_casestudy.php or find out more about Steven Winter Associates at: www.swinter.com. E2 Project Management is an engineering and consulting firm based in New Jersey and we can’t thank them enough for the kind letter they recently sent. E2PM’s president, John Ferrante told us that their firm has been using TimeControl now for 3 years and that it has exceeded their expectations. We’re delighted to hear it. Thanks John to you and your entire team for your support. If you’d like to read John’s letter in its entirety, it can be found at: www.timecontrol.com/resources/testimonials/tst_e2pm.php. You can see other testimonials on the TimeControl testimonial page. 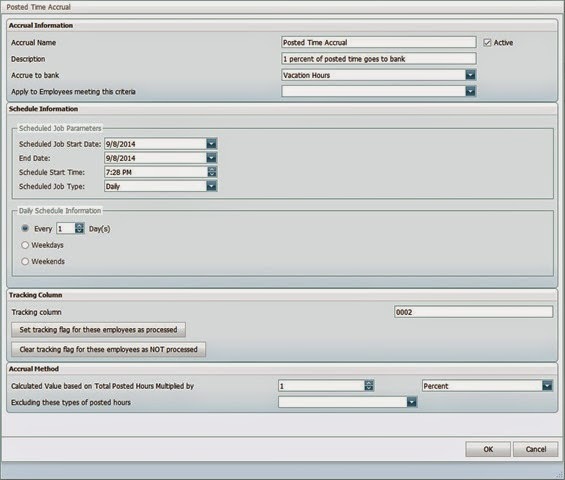 TimeControl 6.8 allows the project manager to set a filter to not transfer certain resources from the project management system. This could allow hiding certain types of resources such as generic resources from being automatically added to the TimeControl Resource Table. Plus, we’ve made performance and minor improvements in a wide range of other modules:Find out more about TimeControl 6.8 at www.timecontrol.com/timesheet/latest or talk to us about your timesheet needs at www.timecontrol.com/contact/contact.php or info@hms.ca. Thanks for a great letter from Aedon Consulting! Carolyn Gavsie the office manager of Aedon Consulting in Canada’s west coast recently sent us a letter explaining how delighted they are to have moved from a manual timesheet system to TimeControl. Aedon is a consulting services firm working in the utilities industry. Carolyn’s letter can be found at: www.timecontrol.com/resources/testimonials/tst_aedon.php. More TimeControl testimonial letters can be found on the TimeControl Testimonial page. HMS has long supported the notion of having both a production and a staging installation of TimeControl and do not charge additional licensing costs for such use of the system. It is common, for example, to have a staging instance to use for testing upcoming versions or to use for training or internal development of reports, filters and validation rules prior to making these enhancements available to production users. A number of clients have asked what the steps are to support promoting from one instance to another. Once a version or a feature has been tested in the staging environment, how do we then make this available in the new environment? We’ve outlined some standard steps in managing multiple instances in this post. Use the TimeControl Database Configurator to attach the new instance of TimeControl to the new databases. Some organizations wish to install a 2nd instance of TimeControl on the identical physical server. (It is quite unusual to install multiple instances on a virtual server as it is so easily replicated). Installing a 2nd instance of TimeControl on the same physical server is possible however the standard installation modules and upgrade modules will only work on the default installation. In order to update multiple instances on the same physical server, a series of manual steps must be performed. HMS Technical Services can guide you through this process if you require it. If there are links to a project management system, then the scheduled links you’ve created will activate on schedule if you don’t make any changes. The Connection Pool information in the Interface Definition will be pointing to your production project management tool. If there is a scheduled job pending then data will move in and/or out of the project tool as scheduled. If there is pending posted data for the pm system or if you enter any data in the 2nd instance, it will be sent to your project pm system. We recommend immediately disabling scheduled jobs and repointing the interface definition to a 2nd project management system instance. Caution: If you do not repoint these project links to a non-production instance of your project management tool or disable the links, then you may send duplicate timesheet entries to your project management system! If you have scheduled automated email notifications of missing timesheets, the 2nd instance will start happily sending them out along with the production instance. We recommend disabling any scheduled jobs. Caution: Not disabling email notifications can cause confusion as users may receive email notices from the 2nd instance complaining of a missing timesheet which has already been completed by the user in the main instance. If you have made triggers within the database to move data in and/or out of TimeControl to link to finance, payroll, billing etc., these triggers will continue to function in the 2nd instance unless you disable them. Caution: Not disabling triggers which were designed to move data to finance for billing or payroll may result in data being sent twice! How do we promote features between instances? Once you have a 2nd instance implemented and you have checked the Caution section and taken the appropriate actions, you are able to start thinking of how to use the 2nd instance for testing and staging. There are some elements of TimeControl which were designed to be easily moved between instances. Other elements are more difficult. For all 4 of these categories, you can create a Export Package from the Links menu. Exporting a Validation Rule will also export any filters which are reference within it. Exporting a filter will also automatically include any “filters within filters” which are referenced. In the production instance, you can then Import a Package from the Links menu and this item will be successfully promoted and instantly available. For these categories, we assumed that this information would be updated directly in the production system. User Defined Fields are typically only created during the deployment. The Import/Export definitions carry an entire audit aspect of them which is managed behind the scenes and Personal settings are, well, personal. The best practice for almost all cases involving these 4 categories is to create them manually in the production instance. There are several other methods of moving data from the 2nd instance back into production but each requires some skill. TimeControl’s standard export and import modules allow all kinds of data to be moved. Export from one system and Import to the 2nd system definitions can be created and saved and then the actual creation of the transaction file and its import is very quick. For those who have more intimate and long standing links required, creating triggers at the database level can be accomplished. This has the benefit of being hidden from the user and the disadvantage of being hidden from the user. When triggers move data automatically in the background, a best practice is to have solid process and procedure documentation that lets all relevant parties know what is happening to the data and why. Turn on the Virtual Machine, turn on the Physical Server or Start the TimeControl ATS, TimeControl TTS and TimeControl Scheduler as required. HMS Services often assist our TimeControl clients with establishing and updating multiple instances. Contact customer server at info@hms.ca to inquire about our services. You can find out more about the 2013 PMI Global Congress at: congresses.pmi.org/NorthAmerica2013.